It’s been in the works for awhile. The painting has been finished since October. Then came the ever-important nursing glider. And then the crib, clearly an essential. I layered the windows and chair and floor in fabric samples. I bought things. I returned things. I hemmed and hawed. I couldn’t make up mind. My nursery inspiration, mostly thrown out the window. 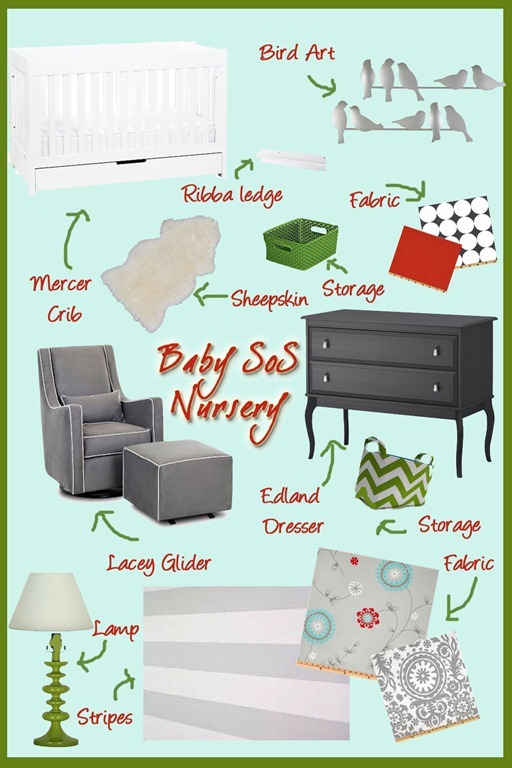 We have a nursery design! love the mood board….can’t wait to see the real thing!! Ooh that’s a nursery I wouldn’t mind living in 🙂 hope baby appreciates it! Next post: Where Oh Where Have My Organs Gone?